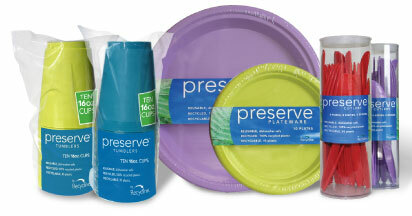 Preserve products by Recycline Inc. These products are made from 100% recycled polypropylene plastic. This is in contrast to traditional plastic ware that is usually made from polystyrene and is not reusable. Preserve Tablewere are dishwasher washable and open to being reused. Once their time has come, they can be recycled. Thanks bringing this product up! Designers are the worst on the planet in contributing to unneccesary consume. Shame on you! I am Mary Of Kangyu Company,We are a company professional produce imitation antique clocks &metal candleholders. As i have seen your company website,your company sell and buy candlestick items ,and our company just have many kinds of candlesticks ,please see if we can help you? and i kindly invite you to visit our company website : http://www.kangyudu.com and indicate ! please be free advise ,i hope i can help you about the items you want. Looking forward to receiving from your kind reply! it s great job. thanks.